No, I changed my mind. RUN into harm’s way. Safe living makes for boring writing. BUT, NOW, I PONDER: This speaks to me, because I love and am distracted by woman, as much, more so, than by men. 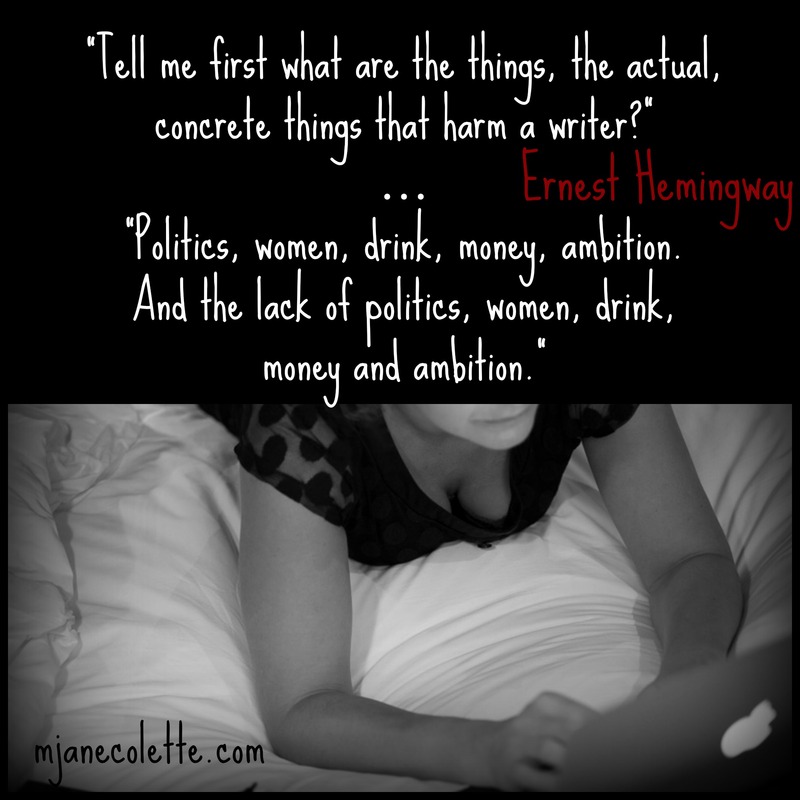 For a straight woman… what harms a writer? Politics, men, drink, money, ambition? For a mother-writer… Children, men, housework, need to make money, fear of ambition?